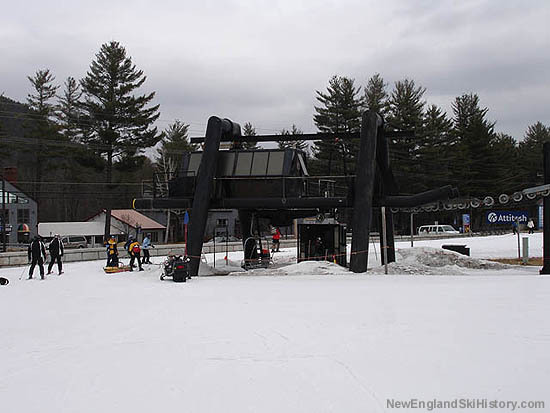 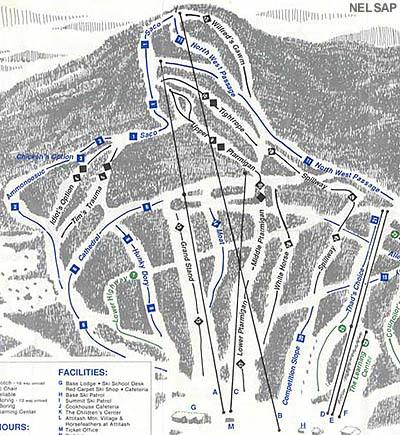 In a quest for modernization, Attitash planned its first sizable expansion in some time in the mid-1980s. 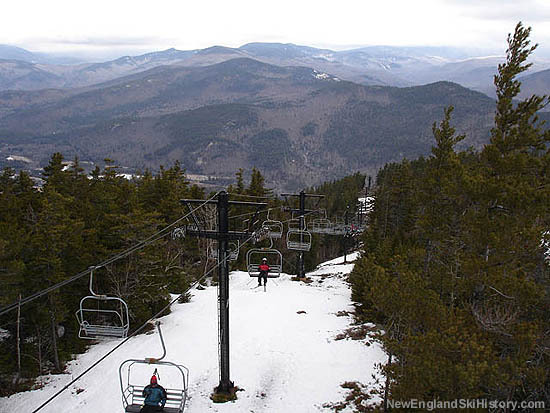 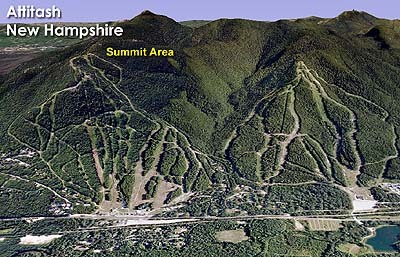 Though not extending to anywhere near the true summit of "Big Attitash Mountain," a new "summit" chairlift was ordered for 1986. 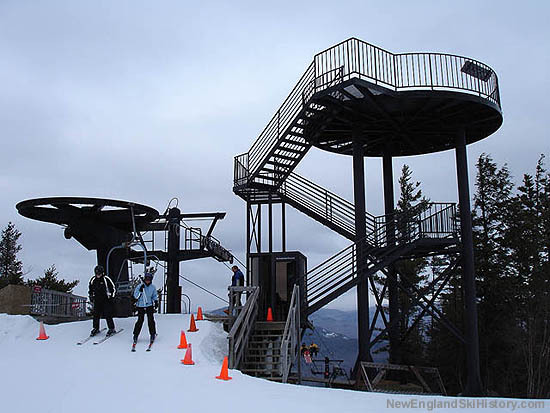 A CTEC triple chairlift, climbing 1,881 feet over a run of 6,205 feet, was installed from the base to the new "summit," resulting in the extension of a few trails and the addition of new one. 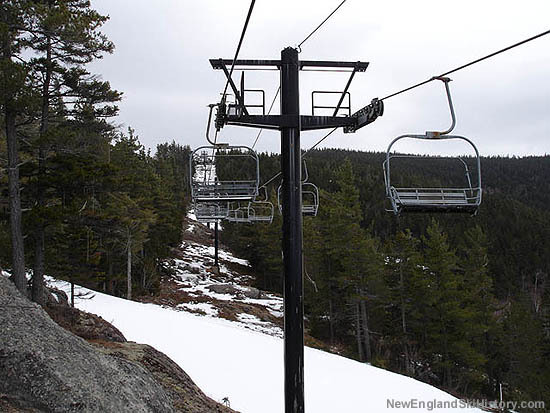 In part because of the summer operations of the lift, and also perhaps because of the long ride time (being a fixed grip chairlift of over a mile in length), the Summit Triple has also been referred to as the "Scenic Chair."